As you grow older, your bones begin to thin and cannot be stopped completely. 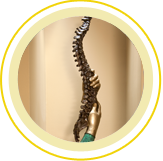 Because of this, their ability to break is heightened, and the concern regarding osteoporosis becomes more evident. However, it’s important to remember that osteoporosis isn’t “just another part of aging.” In fact, there are many ways that you can work to maintain bone health and prevent osteoporosis from childhood through adulthood. Here are three simple tips to remember that can help! It’s no surprise that your bone, muscle, and joint health are directly related to your diet. If you spent your childhood overindulging in junk food or treats and have carried that into your adult life, you may find yourself more at risk of issues like osteoporosis. Starting in childhood, one should begin building healthy habits by making sure to have adequate protein, fruit and vegetable, and vitamin intake every day. Calcium can be your biggest helper here, creating stronger bones, helping muscles contract, and keeping blood clotting. It’s known that the body doesn’t produce its own calcium, but loses it quickly each day. Because of this, the body may take calcium from the bones, eventually causing diseases like osteoporosis. For more information on how to build a healthy, calcium-rich diet, learn more at the National Osteoporosis Foundation. If you’re one of those people that really enjoys exercise, you might be in the minority. But keeping physical activity as a regular staple of your day-to-day life is a must in order to build healthy bones and prevent osteoporosis. For children, make sure to keep them active. A good way to do this is by involving them in team activities like sports, or ensuring that they’re outside often. Limiting screen time is a great place to start! For adults, make sure that you’re doing weigh-bearing exercises with an impact level relevant to your situation. High impact exercises can include dancing, aerobics, hiking, and running, while low impact can include stair-step, walking, or elliptical workouts. Set a goal for yourself such as lifting your own body weight and slowly work toward that to help prevent osteoporosis. Cigarettes are not good, and that’s a fact. It has also been noted that the chemicals in cigarettes have been deemed a contributor to bone loss. Regardless of if you’ve been smoking for years, or have just recently started, it’s important to cease the habit immediately. In addition, heavy alcohol consumption has been linked to bone loss, so it’s important to limit yourself to no more than 2 or 3 drinks at any given time. Doing so, combined with a healthy diet and exercise, can help you proactively prevent osteoporosis. If you’re currently experiencing complications from osteoporosis, or are concerned that you may be at risk, contact Dr. Cohen or Dr. Torrealba at Spine and Scoliosis Specialists today to set up an appointment to discuss a kyphoplasty procedure. 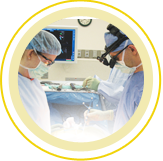 A kyphoplasty can assist in relieving pain caused by osteoporosis. We’ll answer any questions you have and put you on the right track to a healthy life with strong bones! This entry was posted in Osteoporosis. Bookmark the permalink.